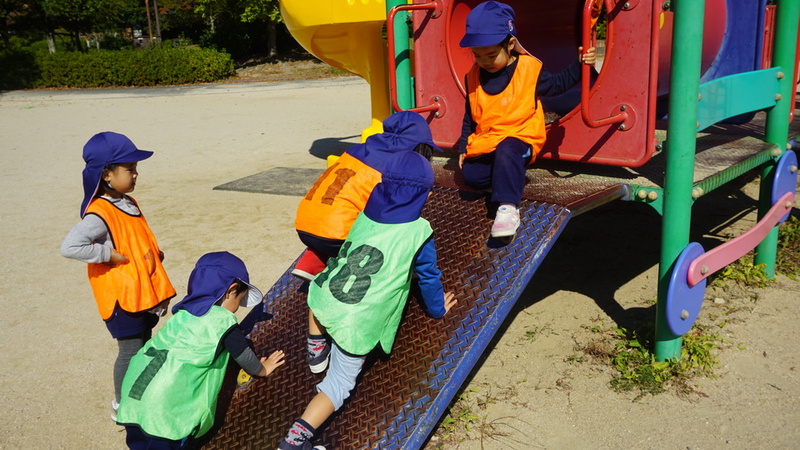 The sun was shining bright but it was not too hot! What a lovely day to go enjoy nature! 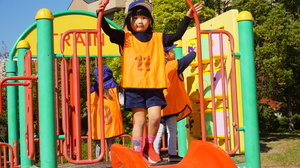 Hence we decided to go to the park today. 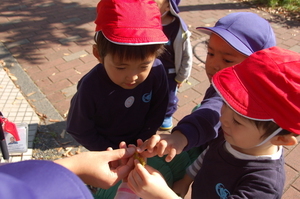 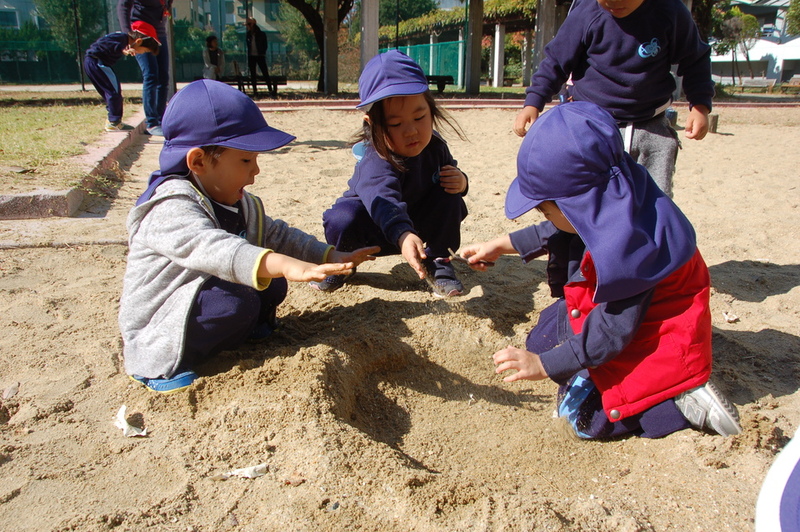 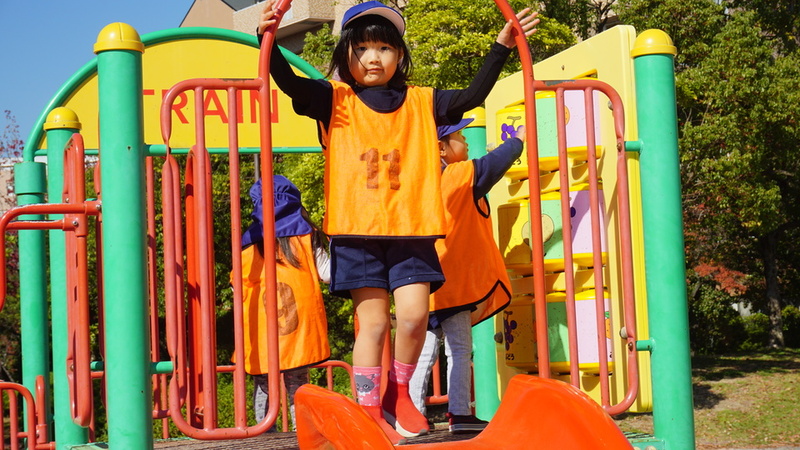 We found different types of leaves, played in the sandbox and on the slides in the park. 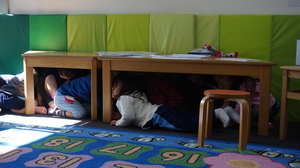 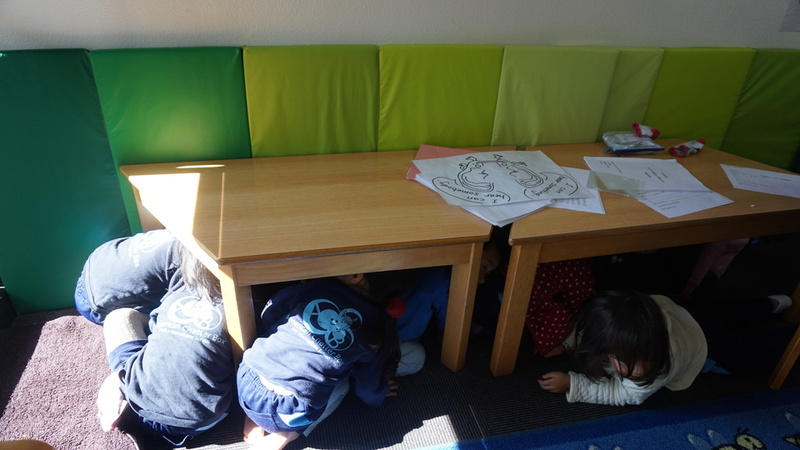 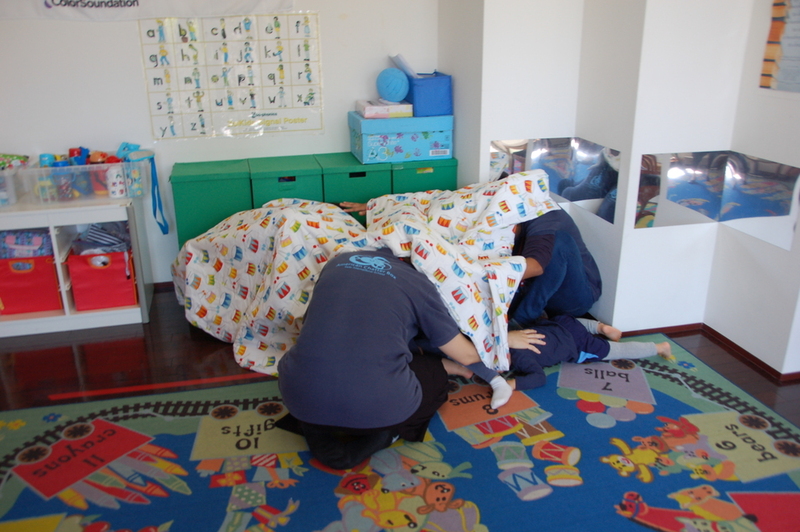 There was an earth quake drill today and our kids did a good job covering their heads.